on top of that (literally) my tall wizard-like towers, and big nests.. I've tried block restriction through the structure spawn option (doesn't work), even tried shrinking the trees. Then some trees are floating sometimes over the custom dirt where the grass block, also custom, is missing in that area. 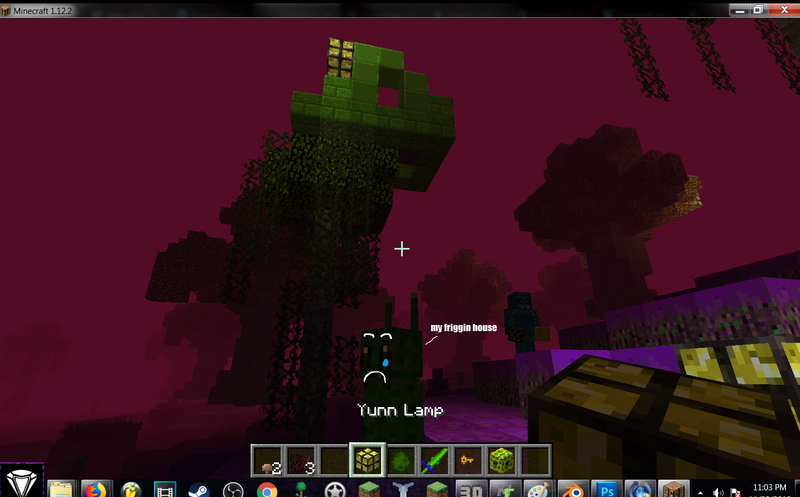 These are spawning through the dimension structure options obviously. Ill include screenies, perhaps the structure have to do with my structure spawn rate? But then what to do about the trees? Its hard for my insect people to reach their homes. Please don't let them go homeless. You can't restrict structure rate per block in dimension structures. We can change this to a feature request as restricting spawning per block for dimension structures would fix this issue. Right now it works as designed as structures on the ground are spawned on the first block from the top down that is not air. Okay so dimensions are limited to its own options, and yeah I'll definitely request that feature cause I'm sure I'm not the only one wanting to put trees, and structures in a new dimension without them stacking. Thank you for the response, I guess I'll just put trees in one biome and structures in another. Ok, I will change this ticket to a feature request. 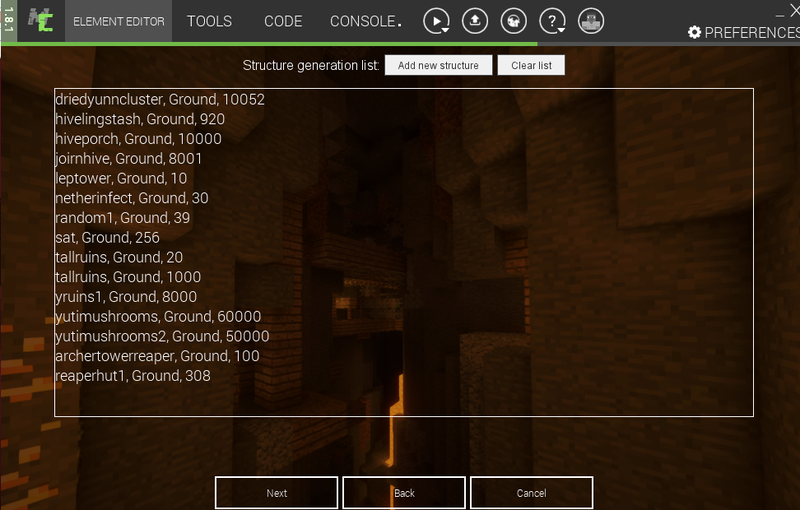 In fact, the best option would be to remove structure definition from dimensions and add support to structure mod element to not spawn only in overworld and nether, but in all known dimensions. The same applies to block ore spawning which should support all dimensions too. From MCreator 1.8.3 on, dimensions structures will be defined as normal structures as now user can select any dimension for the structure generator. This way many new spawning options will be added to structures in the custom dimension. When importing <1.8.3 workspaces, existing dimension structures will be removed from dimensions and users will have to define them as separate structures. Structure files in the resources tab will remain though. Structures can now have any dimension (or more of them) selected as the dimensions in which to spawn. We will consider adding this multi-dimension selection to other appropriate places too (ore spawning, plants, fluids).